We have a new issue at Paper Issues: Food for Thought and this one is sponsored by Some Odd Girl. 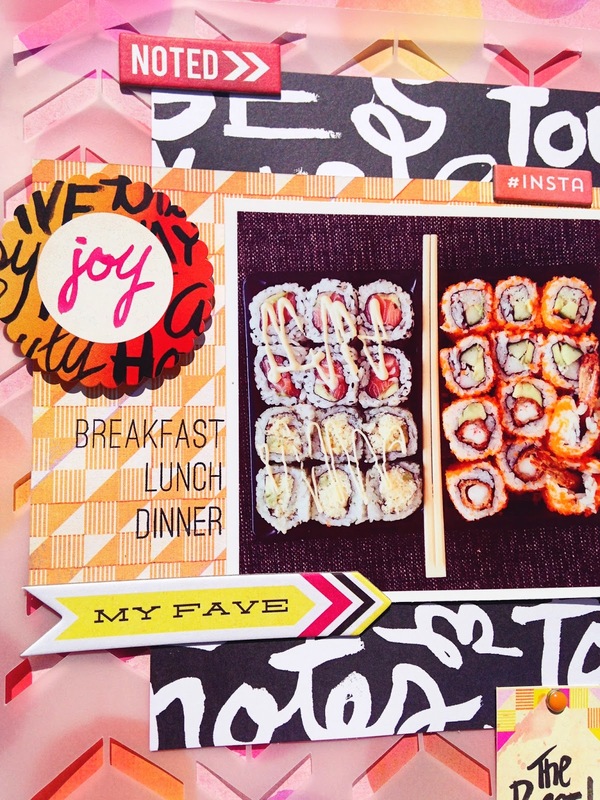 I've made a layout about my love for sushi, which you can serve me ANY time of the day and I used Basic Grey's Highline collection for it. 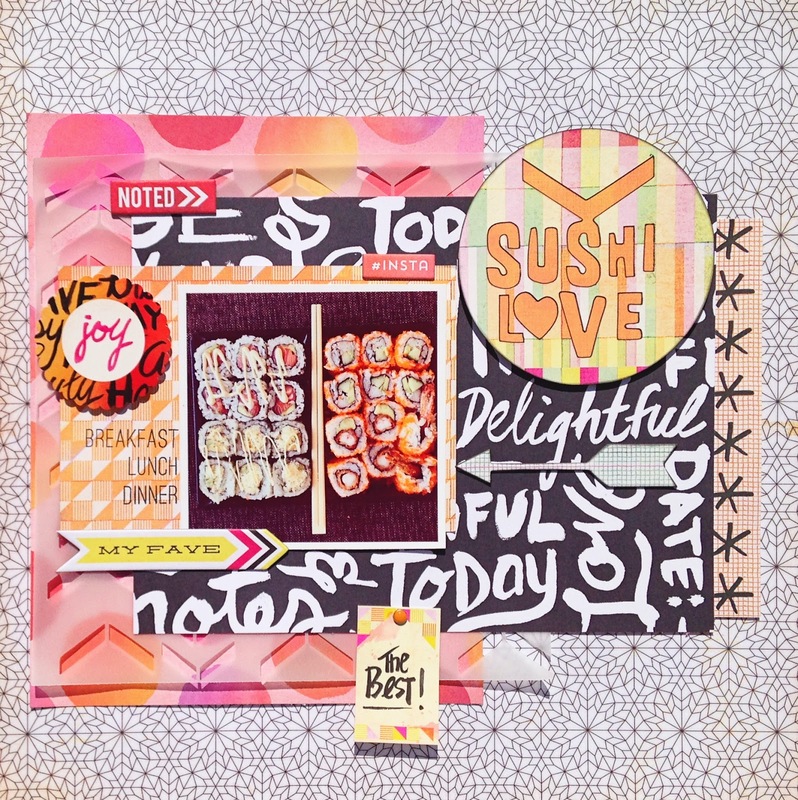 The sushi love circle die cut and the chevron background die cut are both from The Cut Shoppe. 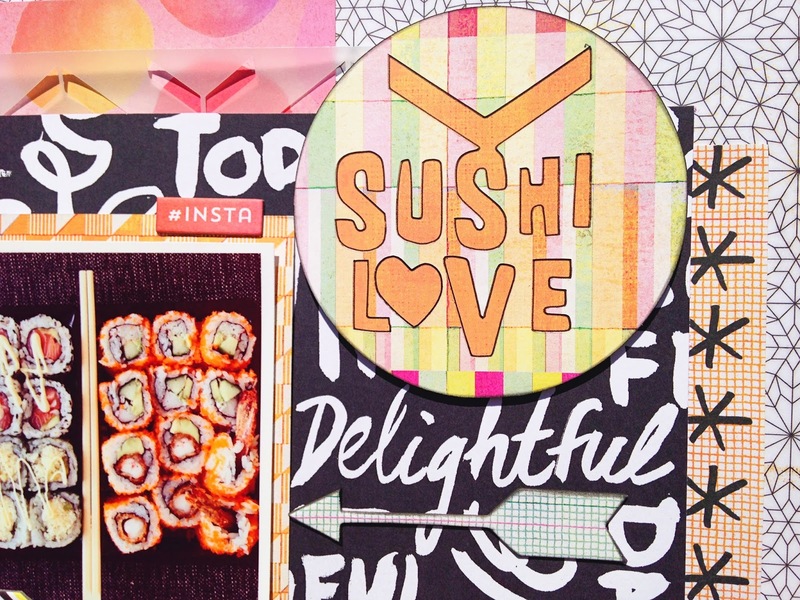 You can link up your own food projects or projects with any Some Odd Girl product overhere at Paper Issues for our chance to win some awesome stamp sets from Some Odd Girl!! You can find the Basic Grey Highline collection overhere in the Paper Issues store. When you use code DANIELLE20 you'll get 20% off your entire order! Loveeeeeeeeeeee this!! I love love love the colors and the circles!!! I am totally in love with sushi too. Your page has a really cool Japanese feel to it. Fantastic! What a fun layout!